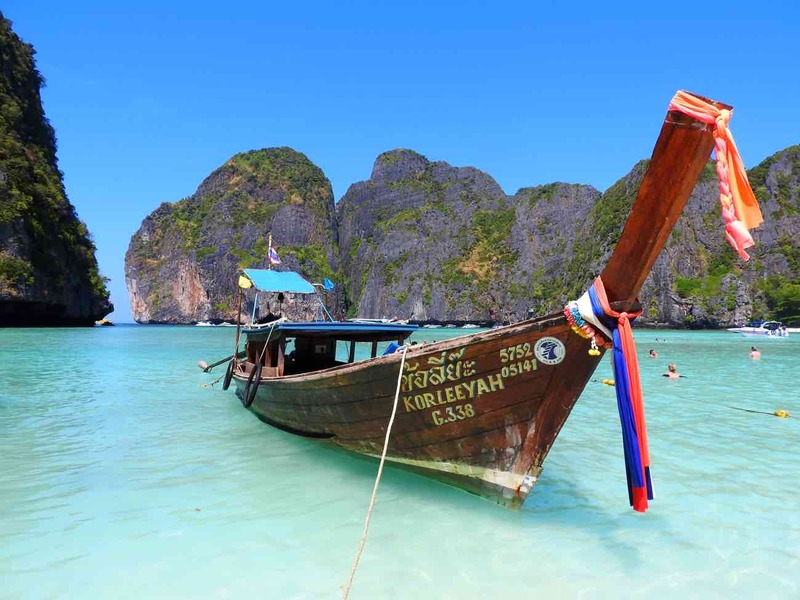 There is so much to see and do in Thailand and it is not always easy to decide! To help you prepare your stay. Here are our 8 activities to enjoy your time to the fullest. If you want to enjoy your holidays, then let’s introduce you to scuba diving, this island welcomes you with open arms. You will discover beautiful coral reefs and abundant and colorful underwater fauna that can even be observed by simply being equipped with a mask and a snorkel. The creeks, the colored rocks, and the white sand beaches make a privileged place for nature lovers. The big bridge that was built by prisoners of war today is a memorial in memory of the forced laborers who lost their lives.Each year, a party is held over a week, where the story is traced and the diurnal and nocturnal festivities are in order. The landscapes that line the Kwai River are particularly beautiful and worth a visit. Lovers of open spaces and wildlife, you will be captured by this destination. Imagine a vast reserve (listed as a UNESCO World Heritage Site) that houses elephants, monkeys, snakes, multicolored birds, bats … Not to mention the abundant and colorful flora, orchids, waterfalls and sublime landscapes that you will discover throughout your visit. The landscapes of KoLanta are sumptuous, you will make unforgettable hikes and will be able to walk in the numerous markets. For all those who want to relax, the beach of KoLanta promises hours and hours of relaxation on its soft and velvety sand. The show “KohLanta” takes its name from this island where was turned the first season. The annual elephant gathering makes the modest provincial capital of Surin rather famous. No less than 200 elephants and their show! Added to this is a great atmosphere that everyone is happy. The tired backpacker can make a pleasant stop and consider many excursions in the area to see Khmer ruins, for example. Surin is also a necessary step to go to Cambodia. Sukhothai is particularly interesting for its old town. The latter was once the first capital of Siam. Today, it is one of the most beautiful archaeological sites in Thailand, a UNESCO World Heritage Site. The old town of Sukhothai is absolutely splendid. We recommend getting there as soon as possible when hordes of tourists have not yet invaded. Krabi Visitors flock to Krabi province to admire its many assets: The karst geology of Krabi draws a large number of cliffs, peaks, and caves. You will find more than a hundred beaches all as picturesque as the others. Inland, the density of tropical forests contrasts sharply with the brightness of the turquoise sea. Feel free to venture further into remote corners.